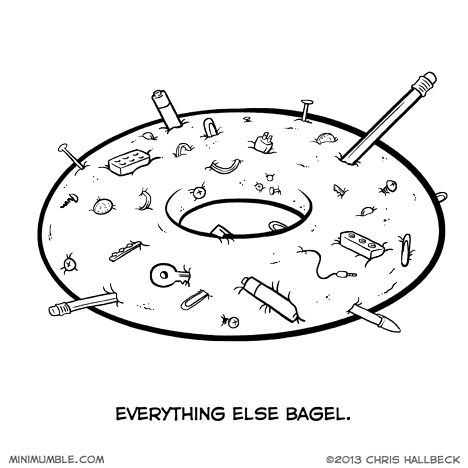 Wait this isn’t really an everything bagel! You’re holding back on me! Where are the donuts! I want a refund! Related to the Everything Burrito? Are my gums supposed to bleed this much? Wait, it’s a day-old, isn’t it?